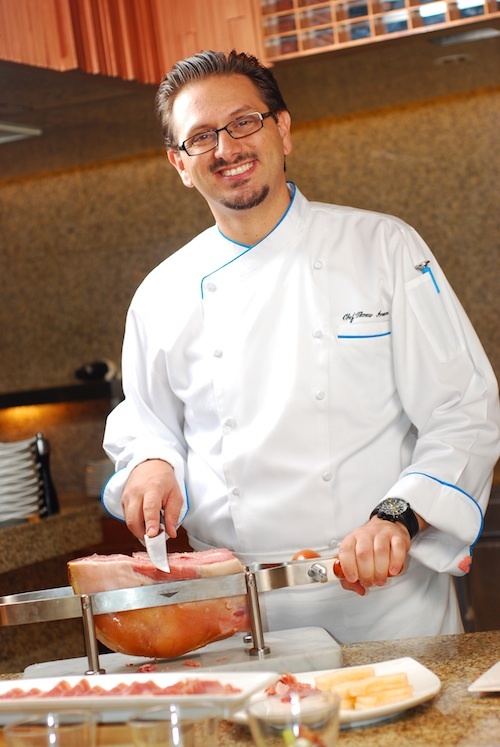 Conrad Maldives Rangali Island has announced the appointment of Marco Amarone as the resort’s new Executive Chef. Marco joins Conrad Maldives Rangali Island from his homeland of Italy, where he co-owned a restaurant with the Marcopolo Group of Restaurants, Cuneo. Marco brings a wealth of experience to Conrad Maldives Rangali Island, further enhancing its impressive array of food and beverage offerings. Having earned his culinary qualifications from IPSEOA Ippolito Cavalcanti hotel school in Naples, Italy, Marco is also a Culinary Master within the U.R.C.L Italian Chef Federation. Over the years, Marco has developed his cooking skills in countries including the Philippines, Thailand, Singapore, Portugal and Bermuda; enabling him to bring a diverse mix of gastronomical influences to Conrad Maldives Rangali Island. Marco will be responsible for overseeing and leading the continued development of Conrad Maldives Rangali Island’s outstanding culinary offerings at its 12 restaurant and bars, which include the world’s first undersea restaurant Ithaa Undersea Restaurant and the Maldives’ first celebrity chef Chinese restaurant, Ufaa by Jereme Leung. An epicurean delight, the resort boasts over 20,000 bottles of the world’s finest wines, 100 varieties of cheese, as well as Michelin starred chefs in residence and an expert sommelier. Further cementing Conrad Maldives Rangali Island reputation as a food and beverage pioneer in the destination, the resort has recently partnered with world renowned cocktail mixologist Grant Collins, who has curated an innovative new cocktail menu exclusively for the resort and will be holding master-classes for guests on set dates throughout 2016. Culinary highlights in April will include a Grand Spanish Dinner taking place in the Wine Cellar on 5 April 2016, whilst guest Japanese master-chef Ricky Kamiishi from Iketeru Restaurant located at Hilton Kuala Lumpur will be treating guests to a degustation menu or a la carte options at Koko Grill from 1 – 15 April 2016. Wine connoisseurs can be educated in biodynamic wines by Mr. Marco Caschera, the Brand Ambassador from Vincent Giardin wines in Burgundy, who will also be on resort in April. A highlight of the month will be the iconic Ithaa Undersea Restaurant celebrating its 11th anniversary in spectacular style on 15 April 2016 with a seven course degustation menu, paired with Grand Cru Burgundy from Domaine Vincent Giardin.